The Lord Jesus put it on my heart in early 2014 to record a Psalms album..using only the Bible for lyrics..so I did just that! He gave me the 12 Psalms that I should record and I also wrote two prayers for the intro, outro. To God Be All the Glory! It has really blessed me to sing the scriptures, to learn these Psalms better and praise God with them, like King David did! I pray it blesses you also..for there is great power in His Word..it's our Sword, our main weapon to defeat evil with..sing with me! All songs written and recorded by Brenda James. 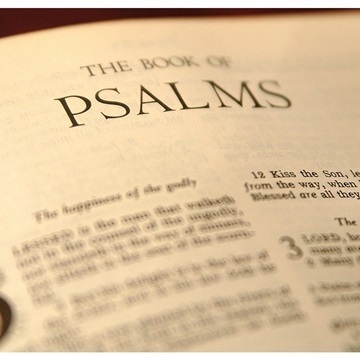 All the Psalm song lyrics are directly from the King James Bible. Music produced and recorded by several different producers, who give their music for free online.